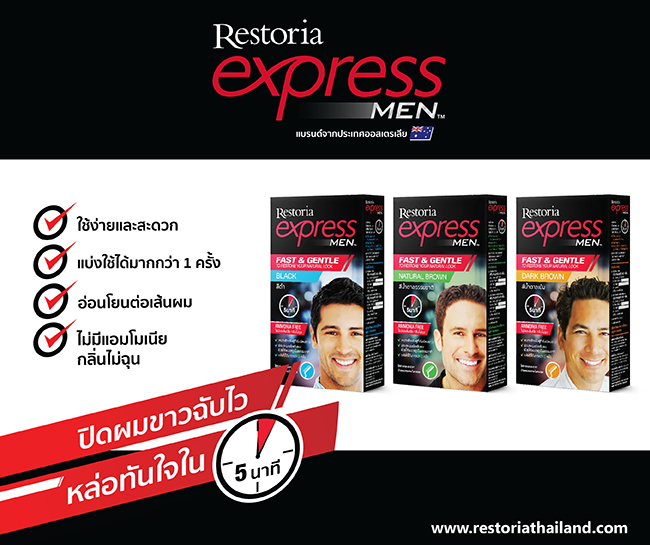 "THE TRUSTED EXPERTS IN GREY CARE"
Restoria Express provide you an easy solution to get rid of grey hair. Engineered for men to be quick and easy, simply brush away the grey in 5 minutes. Feel and look your best self again with natural looking hair.